A joint investigation team (JIT) formed to probe the ongoing fake bank accounts and money laundering case on Friday. This sought the microfilming record of 75 properties owned by former president Asif Ali Zardari and his sister Faryal Talpur. 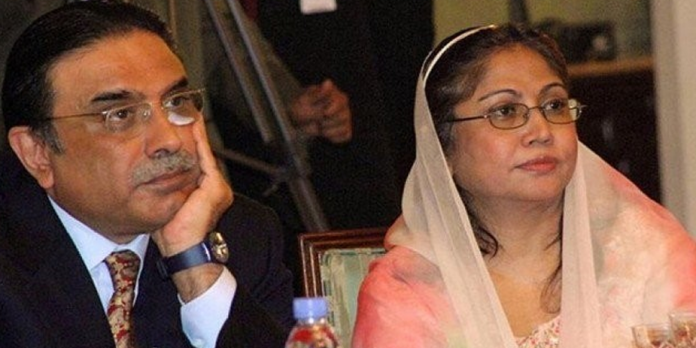 The JIT, formed on the Supreme Court’s orders, sought the scanning record of Asif Zardari and Faryal Talpur‘s properties from the inspector general of the microfilming department at the Sindh Board of Revenue. The JIT directed the inspector general of the microfilming department to appear before it along with records. JIT wrote a letter to the inspector of the revenue department to appear in front of the court with evidence. 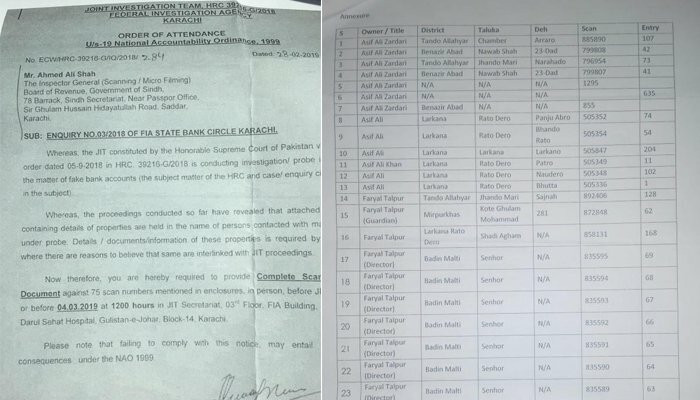 The documents state that the 75 properties are in the name of Zardari and Talpur. The scanning record entry of the properties pertains to Tando Allahyar, Badin, Hyderabad, Larkana, Benazirbad and South Karachi.